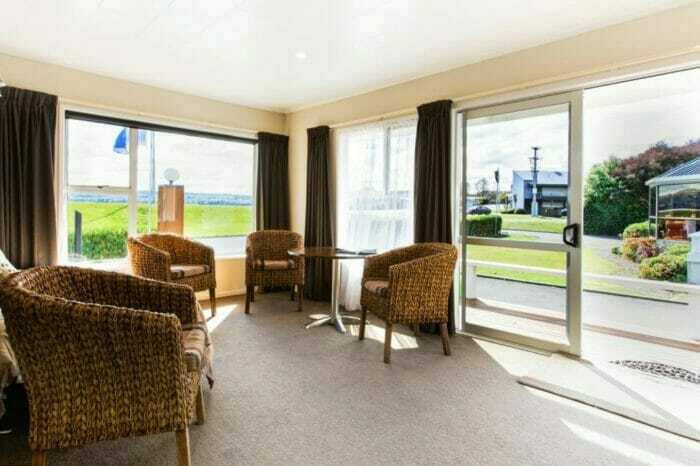 Accent on Taupo Motor Lodge is located across the road from Lake Taupo at Two Mile Bay and backed by a 4 hectare public reserve. It has uninterrupted views across the lake to Acacia Bay and the hills on the western shore, showcase the action on the busiest stretch of water on the lake. Summer and Winter sunsets are a bonus. This unit features a super king bed or two single beds. The front deck area has table and chairs with a view of the lake. SKY Guest Select 50+ Channels and free WiFi. This unit features a private deck area with table and chairs and garden views. This unit is available to be pet friendly, there is a charge of $10 per night per dog. Kitchenette with microwave, toaster, electric jug, crockery and cutlery. This unit features a super king bed and two single beds with space for a rollaway if needed. The front deck area has a table and chairs with a view of the lake. The Cottage has a queen sized bed and two single beds in the second bedroom and space for a rollaway in the lounge area if required. The front courtyard has table and chairs with its own separate driveway and parking area. The Cottage is available to be pet friendly, there is a charge of $10 per night per dog. Kitchen with cook top and sink bench and a good sized fridge/freezer. 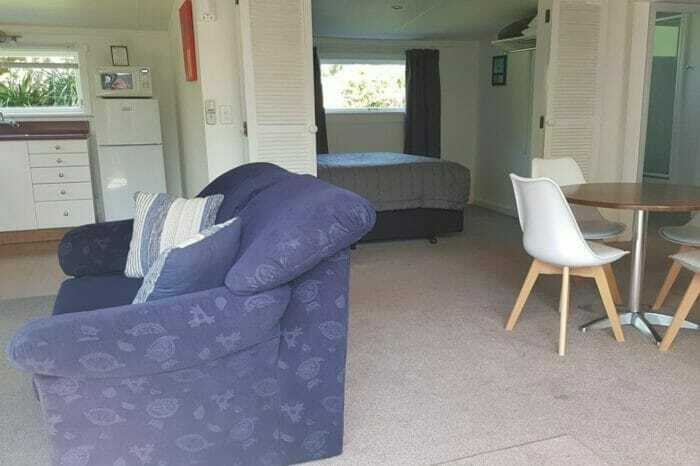 Offering amazing and expansive views over Lake Taupo, this air-conditioned villa features a gas fireplace and an air conditioning unit in the lounge area, a fully equipped kitchen, a large dining area and laundry facilities. Super king and two single beds in the bedrooms with ample space for two single beds in the lounge area. Bathroom with bath, shower and vanity. Separate toilet and separate laundry. Full stove, dishwasher and sink bench with large fridge/freezer and pantry. Parking available in front of the house. There are few things more relaxing than spending an afternoon soaking away aches and pains in the on-site Hot Tub.